Hoot of the Week comes from that ever reliable source, the National Union of Students, this time from the Manchester chapter. The University of Manchester Free Speech and Secular Society are hosting an event entitled, “From liberation to censorship: Does modern feminism have a problem with free speech?” Totally immune from any self-knowledge, the gender ideologues in control of MancUnion, the Students’ Union Executive Team, have banned two people from speaking at this event – on the grounds that they don’t like what they have to say. Of course, they don’t express it that way. No, no. It’s because it would be “potentially in breach of the safe space policy“. A safe space, of course, is a space which is reserved for strict political correctness – and all spaces must, I’m sure you will agree, be made safe. Unless you think it’s just a ploy? 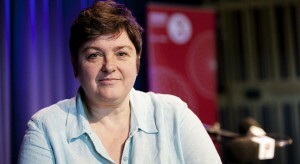 That one of the banned people is Julie Bindel makes it even more amusing. On the plus side, the debate is now made otiose: the question posed by its title having been answered in the most convincing fashion possible – by example. Demonstration of the Week comes to us from the premiere of the film “Suffragette” in the West End. No, no, not those twits on the red carpet who were so lauded by the ever so PC actresses. No, I mean certain London Gentlemen who mounted a far more educational demonstration – do take a look. See here for more details of the true history of universal suffrage in the UK, in contrast to the entirely fictitious account believed by almost everyone (well, that’s what education’s for). As for the Uncut Sisters and their claims about cuts to domestic violence funding, I’ll be dealing with that one shortly. Watch this space. (Added later – done, here). Superwoman Helena Morrissey has been in the news again, this time for overt discrimination in hiring policy, i.e., only bothering to invite women to apply. Morrissey is a pin-up girl for the female-power-in-the-workplace brigade. Made CEO of Newton Investment Management at 35 when she had five children (and now has nine), she’s the living embodiment of having it all. Specifically what she has is a stay-at-home husband who looks after the children with the assistance of a nanny. Yep, this superwoman is actually a traditional man. She’s just doing what vastly greater numbers of men have done forever. But these men don’t get called supermen. Nope, they are patriarchal oppressive shitlords. It’s equality of respect, people. Woman’s Hour, 6/10/15: They ran a feature on the stresses of starting as a fresher at university. Obviously it was all girls interviewed. But even Woman’s Hour was obliged to mention in passing (a 30 second snip) that “men are vulnerable too”, specifically in view of their predominance in suicide. We were told that this is because of men’s difficulty in admitting to their own mental health or emotional problems (for which read, “it’s their own fault”). Further, we were told, in the context of men’s problem in seeking help, that “universities work very hard to try to reduce the taboo about mental health difficulties.” The feature said nice things about the role of the Student’s Unions and the facilities and groups which they provide to support vulnerable young people trying to find their feet. How nice and fluffy it all was. What a shame they did not take this excellent opportunity to convey some less well known facts. Firstly, distressed men do seek help – they just don’t get any. Secondly, as regards the role of the NUS in helping distressed male students, it would have been pertinent to mention that, when Adam Frost attempted to start a men’s group at Durham, specifically motivated by concerns about male suicide, the Student Union banned it. This is standard behaviour from the feminist controlled NUS. Vajra Dhatu had his attempt to start a men’s group at Staffordshire University similarly quashed, whilst earlier attempts at Manchester and Oxford have also been fiercely opposed by the feminist faction, as have many attempts in the USA and Canada. First new grammar school for 50 years. On 15/10/15 we hear that Nicky Morgan has announced the first new grammar school for 50 years. Rejoice? Perhaps you haven’t heard that it will be an all-girls school. You could be forgiven for not knowing: all the mainstream newspapers fail to mention the fact. Recalling that Nicky Morgan’s job title is Secretary of State for Education and Minister for Women and Equalities one wonders which part of that title played the major role in her decision. One publication which is nearer to the matter is KentOnline, which observes, “Whilst today’s announcement is most welcome, excluding boys from the Sevenoaks grammar annexe is very unfortunate. In recent years, Sevenoaks boys have found it harder to access grammar school places than Sevenoaks girls, and the failure of a boys’ grammar school to come forward to sponsor a boys’ annexe has left Sevenoaks boys high and dry.” Clearly they haven’t heard that boys’ education is not a priority. Racism in the use of tasers: A recent FoI has revealed that the number of black people whom the police are tasering is disproportionate. I don’t doubt it. The question which arises in my mind is: but what proportion of those tasered are men? I’m guessing the overwhelming majority. Unfortunately I have failed to find any data. What I have found, though, is information on deaths associated with having been tasered. For the period 2006 to 2013 there are 11 such cases reported in the 2013 IPCC report on taser usage in England and Wales. All of them were men. We have some way to go to catch up with the USA in which there have now been 500 taser related deaths. Again I do not know the gender break-down, but if the recent spate of police shootings of blacks in the USA is anything to go by, they’ll be almost all men (or male children, of course). Then there was the appalling case of the two men out on a stag night who were tasered and pepper-sprayed by Dorset police. Watch the video. It shows one man already on the ground and being restrained by two male police officers when a female officer gratuitously fires a taser at him. Our society can recognise when the use of excessive force by the police might be racist. But our society is incapable of recognising that the use of excessive force is almost always sexist, because, whilst it is hateful to exercise violence on females, males are perceived as acceptable recipients of violence. This entry was posted in education, justice, TV/radio on 15th October 2015 by William Collins.